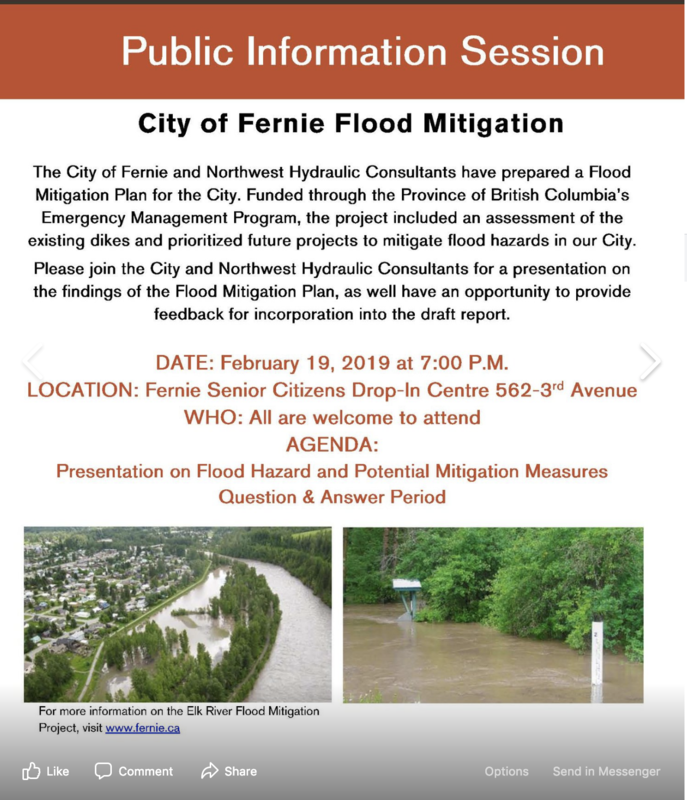 Please join the City and Northwest Hydraulic Consultants for a presentation on the findings of the Flood Mitigation Plan, as well as collect feedback for incorporation into the draft report. The City of Fernie hired a consultant to prepare a Flood Mitigation Plan for the City. The project was funded by the Provincial Government through the Emergency Management BC program. The project included an assessment of the existing dikes and development of prioritized future projects to mitigate the flood hazard.